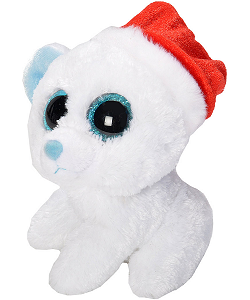 Adorable in a velvety red and white Santa hat, this Li'l Sweet & Sassy plush polar bear is part of the festive Winter Wonderland collection and cannot wait to spend the holidays with you. 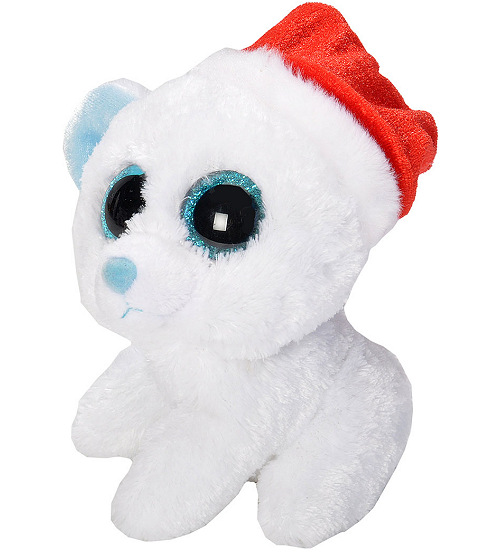 With soft white fur and baby blue inner ears, nose, and embroidered mouth, this sweet polar bear stuffed animal has the most beautiful sparkly blue eyes! Just one look into their depths and you're sure to feel warm fuzzies.